After our post on EU and CRISPR last week, the Dirt-to-Dinner team received requests to simplify the difference between GMO and CRISPR technology. Here is a quick summary to help you differentiate between the two. 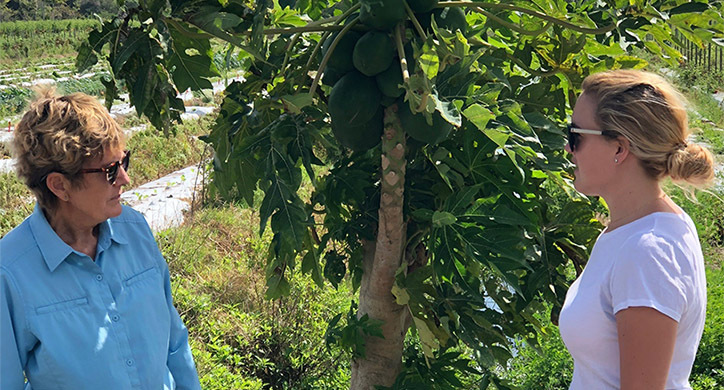 GMOs (genetically modified organisms) involve transferring a gene from one species to another to provide an organism with a new trait – like pest resistance or drought tolerance. GMOs are also referred to as “transgenic,” for transfer of genes. 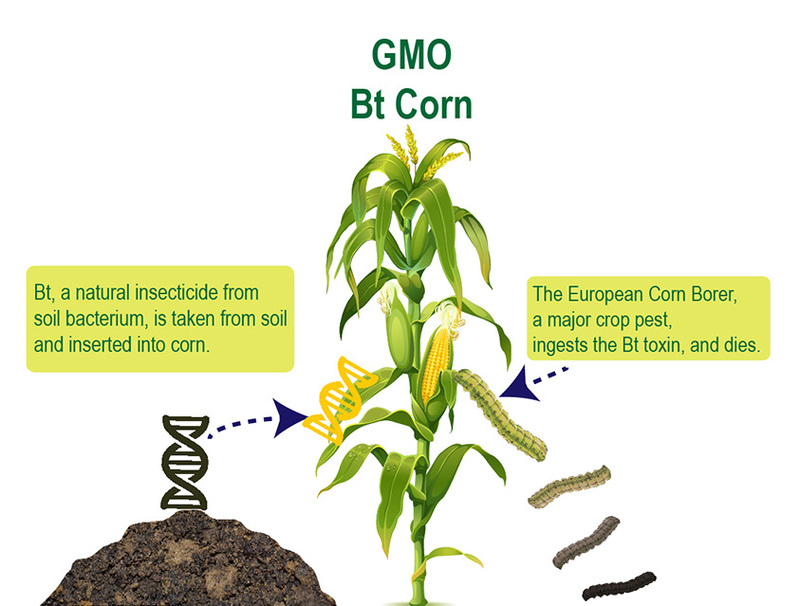 Bt corn is an example of a GMO crop that helps reduce pesticide use against the European Corn Borer, a pesky caterpillar that eats the crop. Genes from a naturally occurring soil bacterium, Bacillus thuringiensis, are inserted into corn leaves. Bacillus thuringiensis produces proteins with insecticidal properties that specifically target the European Corn Borer. When the worm starts munching on the corn leaves, it ingests the soil bacterium and dies. The plants produce the toxins in their tissues and there is no need to spray synthetic pesticides or apply Bt mixtures topically. 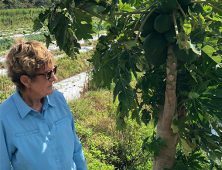 GMOs involve transferring a gene from one species to another to endow an organism with a new trait – like pest resistance or drought tolerance. 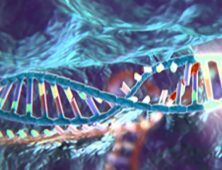 CRISPR is a very precise way of altering or deleting DNA from the same species to obtain the desired outcome. CRISPR allows scientists to shorten the natural evolution of plants by years. 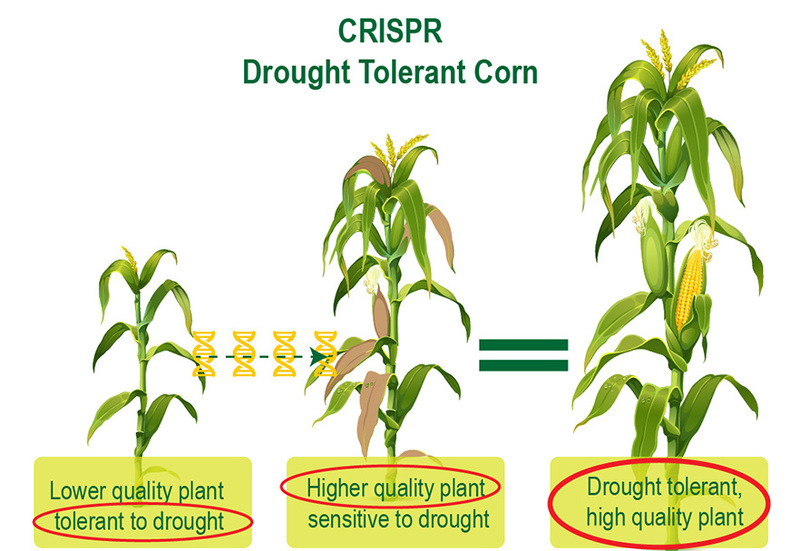 Drought resistant corn, for example, is CRISPR engineered and will enable corn to grow and thrive with limited water. As the climate changes and water becomes scarcer, this will be very important to this major world crop. 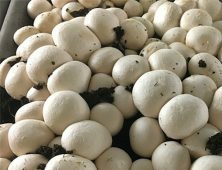 Another example is the non-browning mushroom, where the gene responsible for browning is silenced. 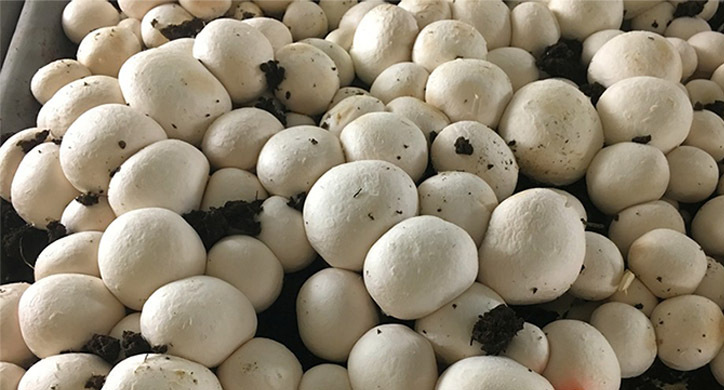 The mushroom enjoys a longer shelf life and there is less food waste. 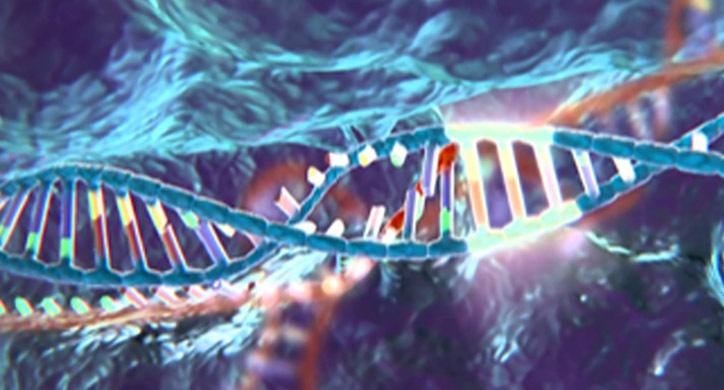 CRISPR involves editing a gene within the same species to achieve the desired outcome. Gene-edited crops have the potential to make plants that are higher yielding, drought tolerant, disease resistant, more nutritious, or just better tasting. CRISPR technology can also be applied to human and animal health and welfare. Scientists are working on cures for Type I Diabetes, Alzheimer’s and other human diseases using CRISPR technology. With regard to animals, dairy cows can be saved the pain of manual horn extraction (disbudding) by introducing genetics from Angus cows, which are born without horns. 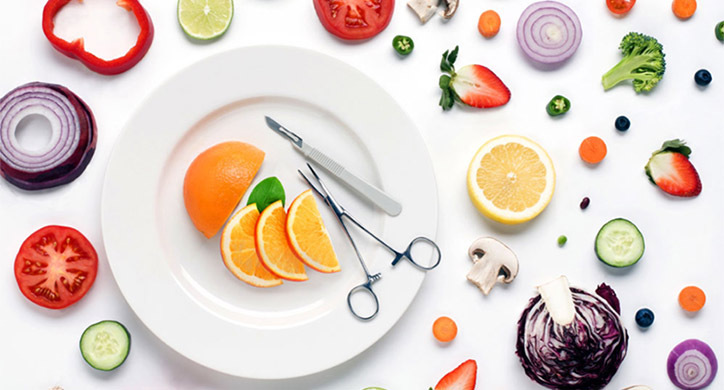 Both GMO and CRISPR technologies have the potential to provide healthier, more nutritious food, and allow farmers to grow crops with fewer agricultural chemicals and less water. Additionally, CRISPR is emerging as a promising tool not only for plants and animals but also for human health. GMO and CRISPR technologies are designed to help farmers grow with fewer pesticides, less water, and less impact on the environment. While GMO technology is cutting and pasting genetic material from one species into another, CRISPR technology takes this one step further by cutting and pasting genetic material within the same species. Both technologies are safe to grow and eat.